January 16, 2014 By Tina M 2 Comments This post may contain affiliate links. Read my disclosure policy here. We have two new printables today folks! One is a freebie, and the other one is just pennies in my Etsy shop! We celebrated with my husband’s family. We enjoyed some delicious ribs, followed by an epic dance party (strobe light and all). Grandma and grandpa even joined in (wish I took pictures)! We spend the rest of the evening playing games and just enjoying each other’s time. My sister-in-law seems to always be in-the-know on the latest fun games and gadgets (I added some of them to my post Fun Family Games), and kept us thoroughly entertained all night. Before the night ended we each took a picture with our New Year’s Resolution. 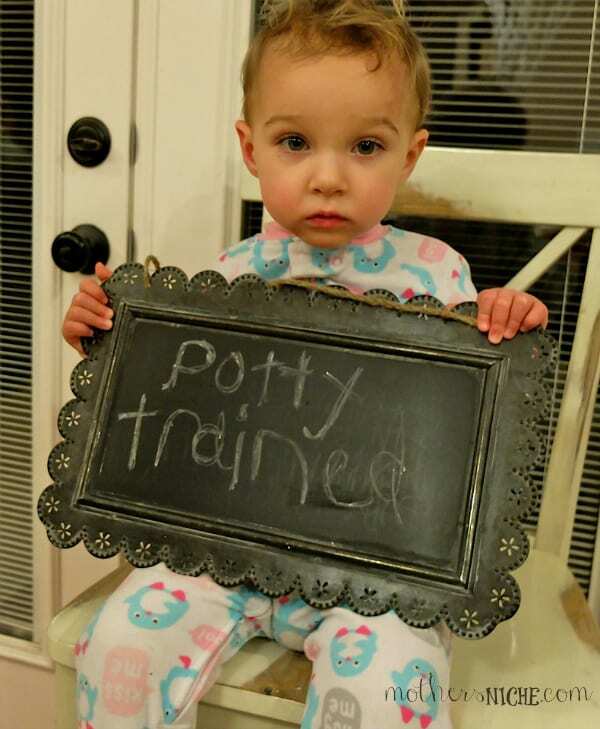 Little #1 had a great resolution, don’t you think? Haha, Can you see the sleep deprivation in her eyes? 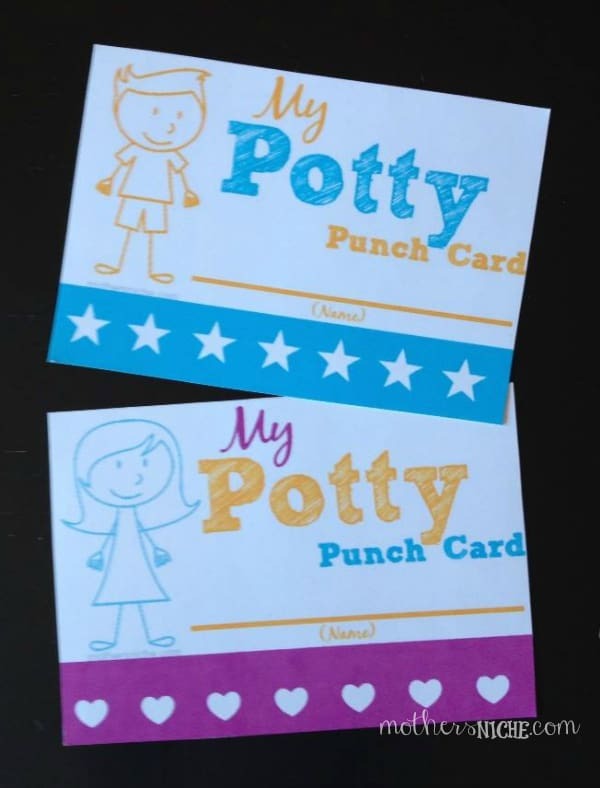 I searched for a free potty punch card initially, but couldn’t find a free one. 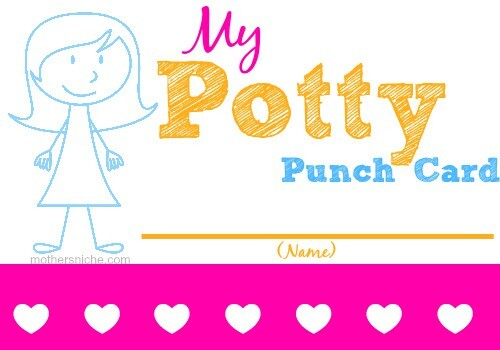 I thought about creating a fun potty training chart, but a potty punch card seems to be less maintenance (and more fun)! So I finally gave in and made one. Hope you enjoy! 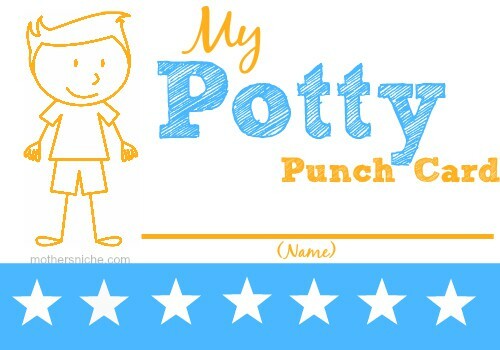 Anyone have some great potty training tips for me? 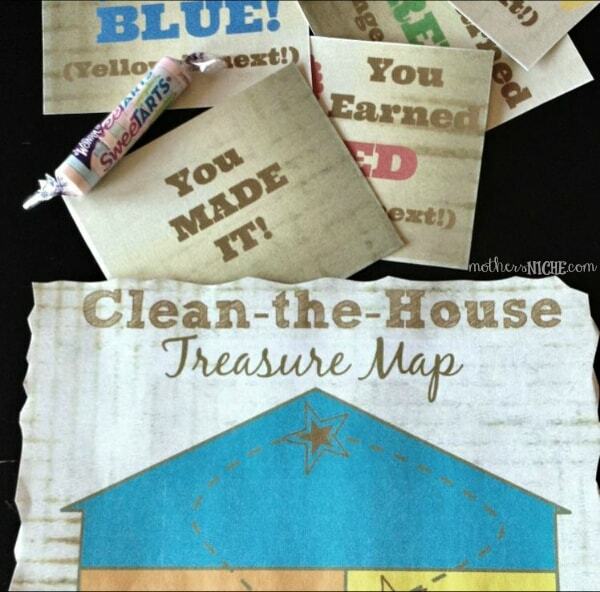 Next up, is our Clean-the-House Treasure Map Printable! Does January seem to be dragging on for anyone else? It seems that after having so many holidays right in a row, January needs a little something to be excited about. And with all the New Year’s Resolutions for better habits, why not a treasure hunt for cleaning the house? Room-to-Room. 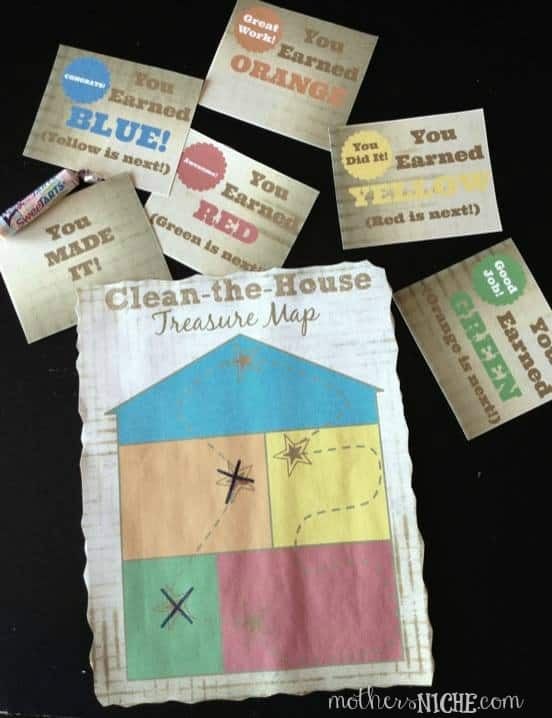 As they finished their assigned task in a specific room, hand them their “clue” and let them cross that color off on the treasure map. They can earn a small prize as they move from room to room, or they can earn a “treasure” at the end. 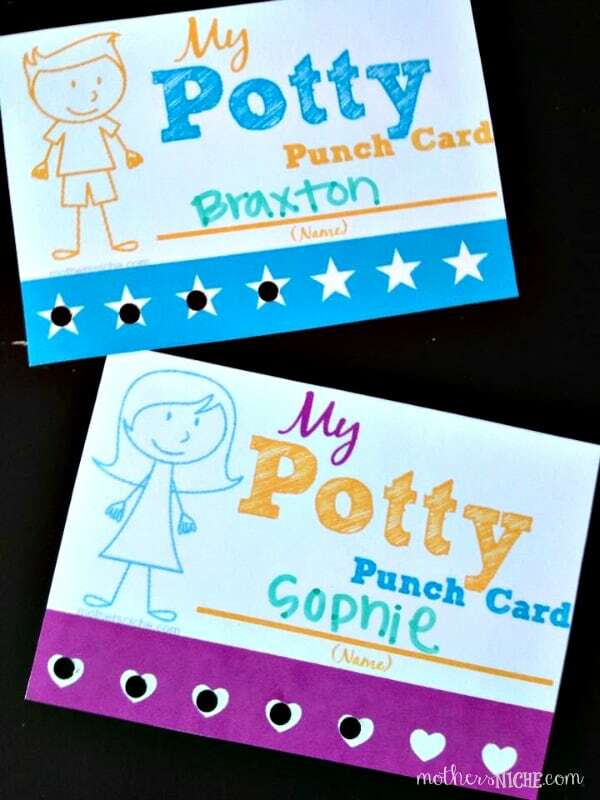 This is a great way to teach children that hard work is not only rewarding, but it can be fun too! ***Your child does not have to move from room to room to use the map. If their assigned tasks are all in one room, you can hand them the next clue as they make progress, or after a certain amount of time (every 5-10 min, etc.). Oh my gosh the cleaning house treasure map is brilliant! I want to do it!